The most advanced spyware detection system available anywhere. Your privacy is worth the protection NetCop has to offer! 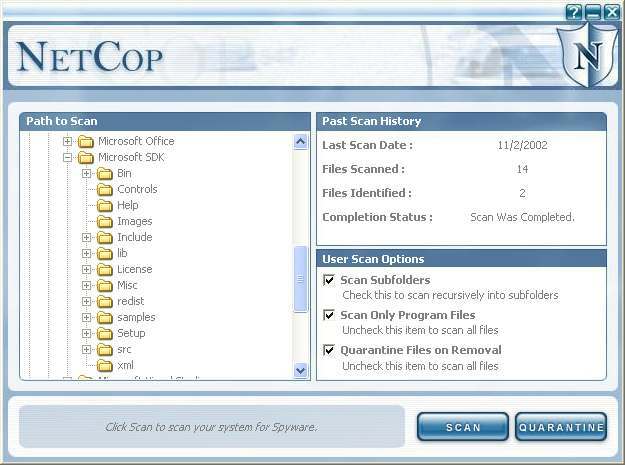 NetCop System Shield is a revolutionary new spyware detection and removal application that offers around the clock protection to home and corporate users. NetCop offers maximum strength security and protects your home or netwoked enviroment from malicious spyware and keylogger applications that secretly record your online activity. 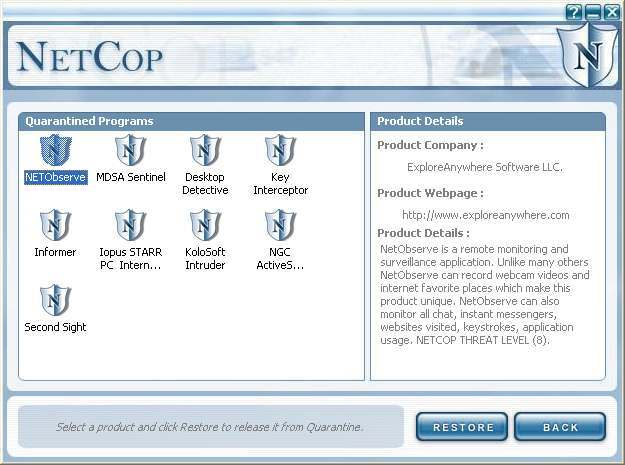 NetCop offers the highest quality protection for all Pc users! Utilizes advanced analyzing techniques which capture requests to open a file, it then scans the file and determines if it's safe to run on your system. 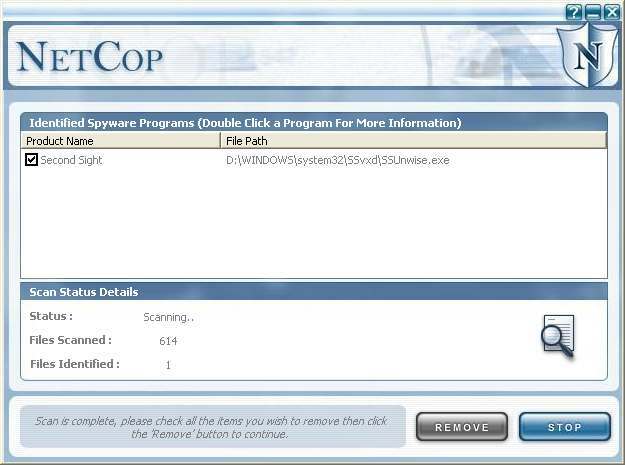 Unlike other competing products, NetCop terminates the process on spyware applications before they get the chance to run. Provides an option to remove spyware from your computer and quarantine it. The malicious application will be compressed and stored in a safe place on your computer, ensuring it will do no more harm! A quarantined file can be analyzed more closely. Offers detailed information for you regarding the spyware it detects. Unlike many other competiting products, NetCop delivers the information you need to investigate the origin of the product detected. Offers a large growing database of spyware and keylogger applications that are included in our detection routine. Rest assured if a spyware product is brought to our attention, our detection team will add it to our ever growing database. 24 Hour Protection, It always watching over your computer, keeping you protected while you're away, using your computer, or even asleep. Provides automated updates. With automated updates you will receive product updgrades and new spyware definitions added to our detection routine.